Starting a home renovation is a big step and can be an exciting time. Knowing which room remodels make the biggest difference in your home can be a good place to start when making the decision to get moving on your renovation. Below are our top four spots in the home to start your home renovations. The kitchen is hands down the most remodeled room in any home. There are two reasons for this. First, it is the room that has the highest amount of activity. The entire family spends a lot of time cooking in the kitchen. This high rate of activity is why the kitchen will need remodeling after a few years. 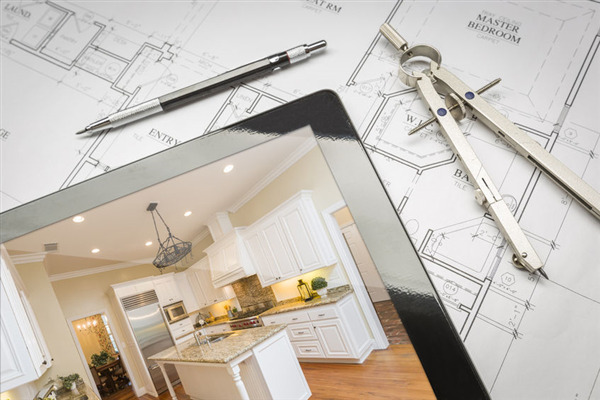 Our contractors can help you reconceptualize your kitchen from the floor to the ceiling. We can install new cabinets, appliances, countertops, and rework your floors and walls. The bathroom is also a high traffic area in your house, as everybody uses it throughout the day. If your bathroom is getting old and needs to be revitalized, then our crew of experienced contractors can help you design your bathroom and beautify it throughout. There are lots of new bathroom features that help you fine-tune the overall look you’re going for. We can help guide you through the process from start to finish. You’ll love the way your new bathroom looks. Attics are often overlooked because the family rarely spends time in that area. If you have a large attic, however, you could turn it into additional living space. We can turn your attic into a guest bedroom, an office, or an insulated storage area. Regardless of what you want to do with your attic, we can help you make the most of the extra space. Simply tell us what you have in mind and we’ll go to work to turn your dream into a reality. The basement is the perfect room in the house to remodel. Most homes in the Minneapolis area feature basements that have lots of space. With this space comes all kinds of possibilities for renovation. Have you ever wanted a second living area? What about a recreation room or an office? We can remodel your basement and give you a secure, well-insulated area that you can enjoy throughout the year. If you are looking for a professional remodeling company in Minneapolis or St. Paul, Minnesota, then contact Intelligent Design Corp. We help homeowners remodel their kitchen, bathroom, attic, or basement. We can also help you. Call us today at 763-315-0745 and let us get you started on your next remodeling project. Can You Remodel During a Restoration?